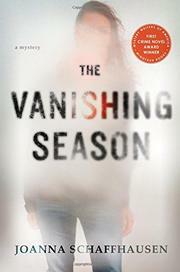 The survivor of a childhood kidnapping investigates a series of missing persons who may be tied to her own history. Inspired by her traumatic past as the victim of a kidnapping, Abby Hathaway, who now goes by her middle name, Ellery, serves as a member of Massachusetts' Woodbury Police Department in an effort to protect others. But a string of missing persons incidents in her jurisdiction has Ellery worried that she’s not as able to protect her fellow citizens as much she would like. Bea Nesbit, Mark Roy, and Shannon Blessing could just be a string of runaways, but to Ellery it seems obvious that their disappearances are signs of something much worse. Ellery’s insight into the riddle may be tied to the cards she gets in the mail from someone who appears to know secrets of her past she’s tried very hard to hide. Not sure what to do, Ellery contacts Reed Markham, the FBI agent who cracked the case Ellery was once at the heart of and rescued her from sadistic Francis Coben, who was almost certainly going to kill her. Reed has been more fixated on his work than his family, causing no good for either, so he welcomes Ellery’s help on an informal basis. He shares her fear that the disappearances may be following Coben’s original pattern and her conviction that they need to act soon before someone else vanishes. The biggest obstacle in their investigation is Markham’s suspicion that Ellery may be not just an investigator, but a suspect, but this idea isn’t given enough weight to intensify the suspense. Though it reads more like a dabbling in the genre than a fully realized thriller, Schaffhausen’s debut gives evidence that she may develop into an author more in control of readers’ emotional attention in future work.